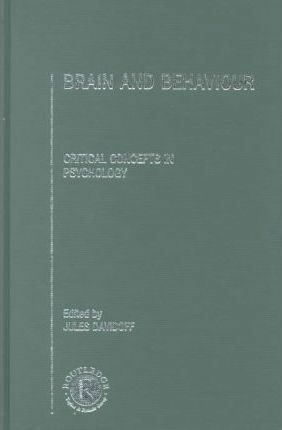 These four volumes present papers on the relationship between brain and behaviour, from the onset of its study in the mid-nineteenth century to the present day. In the mid-nineteenth century, the French physician Paul Broca performed an autopsy which revealed that the brain was critically involved in speech function. Since then, further profound observations and theoretical insights have continued, adding to the debate about the brain and behaviour relationship. The papers in this collection have been selected by the influence they have had on these developments. The articles are primarily concerned with behaviour rather than neuroanatomy, and will allow students and researchers the chance to survey the evidence in the link between brain and behaviour, spanning many areas of cognition.